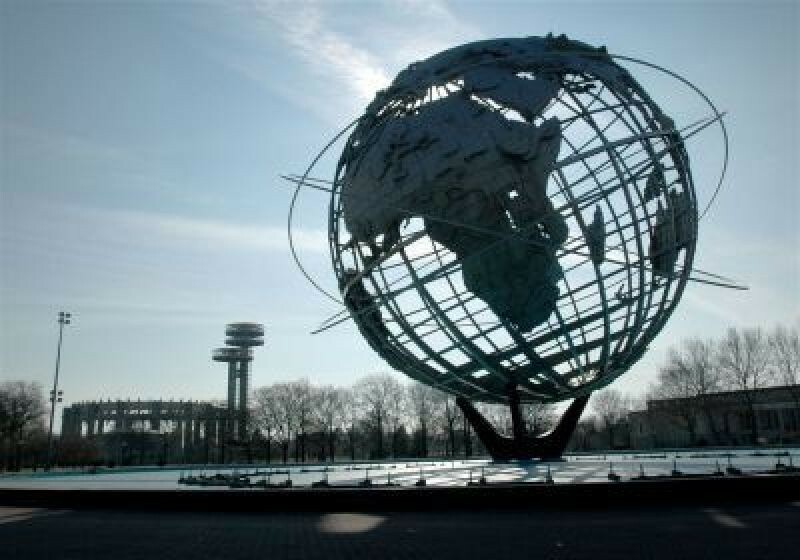 The site of two World’s Fairs, Flushing Meadows Corona Park, located at the geographic heart of New York City, contains several of the City’s most recognizable landmarks. Built in Flushing Creek’s plain, the site was originally marshland before it was converted to a landfill. Today the park is the second-largest in the city (behind Pelham Bay Park in the Bronx). The site of the United States Open, one of four premiere Grand Slam events on the professional tennis tour, each year Flushing Meadows Corona park draws over three million people from all over the world for both spectator and recreational activities. Once inhabited by the Matinecocks, the first European settlers began to arrive in 1640, establishing the colonial settlements of Newtown and Flushing, and harvested the site’s seafood and its marsh grasses. The site’s natural beauty led to it becoming a popular waterfront resort immediately following the Civil War; in this era many wealthy New Yorkers built elegant houses in the area. As coal use increased during the 19th century, the existing wetlands, as well as the creek that flowed from Flushing Bay, were filled to facilitate the site’s use as a dump, later described as a “valley of ashes” in F. Scott Fitzgerald’s (1846–1940) The Great Gatsby (1925). In the 1930s, Jackson Heights engineer Joseph F. Shagden approached a group of businessmen to organize the 1939-40 World’s Fair. Parks Commissioner Robert Moses (1888–1981) saw the potential to rehabilitate the land and create Flushing Meadows Park after the fair ended and became involved with the project, sitting on its board. The fair, the theme of which being “Building the World of Tomorrow,” was a critical if not necessarily a financial success; fairgoers flocked to the site to see the latest technological innovations in an era of rapid progress. After the fair, the site sat idle for many years. Several structures from the 1939-40 World’s Fair era survive. The boathouse on Meadow Lake (at 84 acres, the city’s largest lake), Meadow Lake itself and its smaller neighbor, Willow Lake, and the New York City Building are several such examples. The New York City Building, which later became the Queens Museum, was the temporary headquarters of the United Nations from 1946 to 1950–the building witnessed the birth of the state of Israel when the U.N. partitioned Palestine in 1947. Transportation access to the site also dates to this era of the park’s evolution. In the early 1960s, Moses tried again to realize the grand vision for Flushing Meadows as the City hosted the 1964–65 World’s Fair at the site. The Unisphere, the centerpiece of the fair and the park today and a public marina at Flushing Bay date from the 1964 exposition. In 1999 the marina underwent a $1.6 million renovation that added a new boat ramp. In June 1967, the 1,255-acre site was officially designated parkland and named Flushing Meadows Corona Park, becoming the largest park in Queens. The Queens Zoo opened and bike paths and playgrounds were added as the park became a recreational center for Queens. The park is also home to the Hall of Science, the Queens Wildlife Conservation Center, the Theatre in the Park, a Carousel, and the Queens Museum of Art. The Playground For All Children, opened in 1984, was one of the first handicapped-accessible play facilities in the country is undergoing a $3.9 million renovation funded by Council Member Helen M. Marshall. 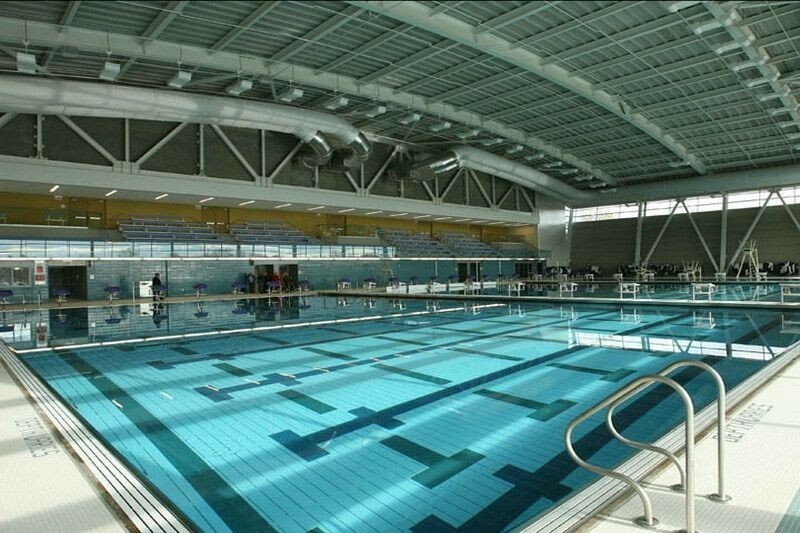 Marshall also funded a $35 million project to add a new hockey rink and swimming pool. The G.B. Ederle Amphitheater, an $8.3 million project, is slated for completion in 2004. The park is home to 11 major monuments, including Forms in Transit, The Rocket Thrower, and Freedom of the Human Spirit, all dating from the 1964 World’s Fair. A granite monument marking the spot where two time capsules designed to last 5,000 years are buried. The park’s international flavor shines with soccer games and festivals, fulfilling the lofty goals of the two World’s Fairs. Drawing from the area’s diverse neighborhoods, the park hosts special events year round, including Colombian and Ecuadorian Independence Day Festivals in the summer and a Korean Harvest Festival in the fall. Today, hundreds of volunteers, from school children to senior citizens, help keep the park looking beautiful, participating in activities such as planting and weeding flowerbeds, cleaning lawns, fields, and shorelines, and painting park benches. 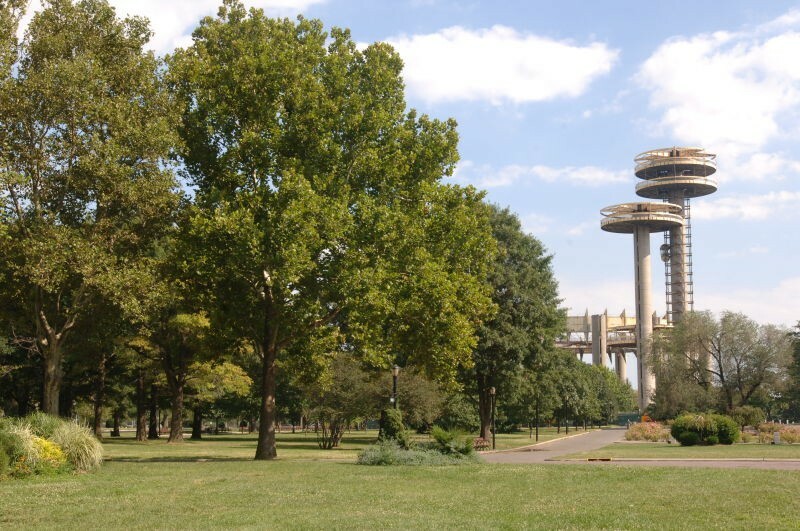 A welcome escape from the stress of city living, Flushing Meadows Corona Park has become an indispensable resource for the residents of the surrounding neighborhoods and for visitors from the entire metropolitan area, as well as beyond New York City.